Aloe Vera lip balm with factor 15 protection, created especially for the care, protection and nutrition of the lips. The aloe vera lip balm factor 15. Nutrition, hydration and reparation with lip protection. Meant for dry, very dry or cracked lips. aloe vera lip balm factor 15. 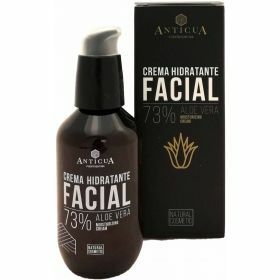 Acts repairing lip damage in an intense, fast and prolonged way. Its SPF 15 protects from sun radiation and external aggressions. Cocoa butter: cocoa butter has moisturizing, antioxidant, toning, regenerating and revitalizing properties. Among the antioxidants are vitamins A, E and C, which act against free radicals and fight premature skin ageing. Also contains minerals, such as calcium, potassium, magnesium, iron and zinc, amongst others. Vitamin E: it has many properties but its most popularly known as the vitamin of youth and beauty.